Cape Lookout is a spectacular state park on the northern Oregon Coast. Pitch your tent in a beautiful forest and spend your days hiking around to stunning viewpoints and sandy coves. If you want to try something a little different, you can rent an adorable yurt for an awesome experience. One of my personal favorite places to camp is the gorgeous Lost Lake. 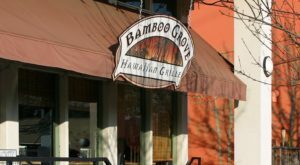 This hidden gem is nestled into the Mt. Hood National Forest and has a great campground as well as beautiful scenery, hiking trails, and recreation opportunities. 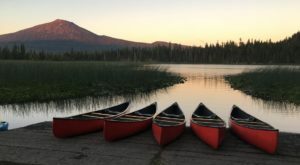 Spend the day swimming, hiking, and picnicking, and then settle down in the evening to watch the sun set over the beautiful lake, silhouetting the picturesque peak of Mt. Hood. Silver Falls State Park is a true gem. 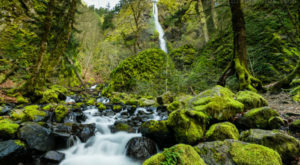 This incredible place is Oregon's largest state park and it's full of amazing waterfalls, rivers, trails, and forest scenery; unsurprisingly, this gorgeous park is a perfect place to go camping. 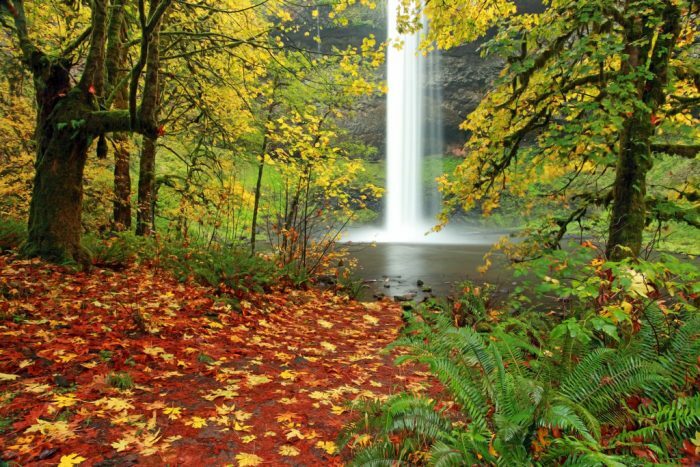 While you're here, you'll definitely want to check out the famous Trail Of Ten Falls. 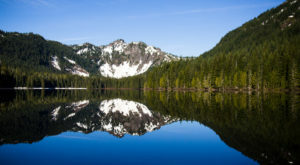 This incredible lake in Linn County is utterly beautiful. 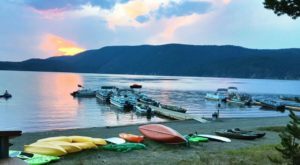 The Clear Lake Campground is located right on the lake, and offers tent and RV camping along with bathrooms, tables, and fire pits. This lake is a wonderful place for boating, swimming, hiking, fishing, mushroom picking, and more. 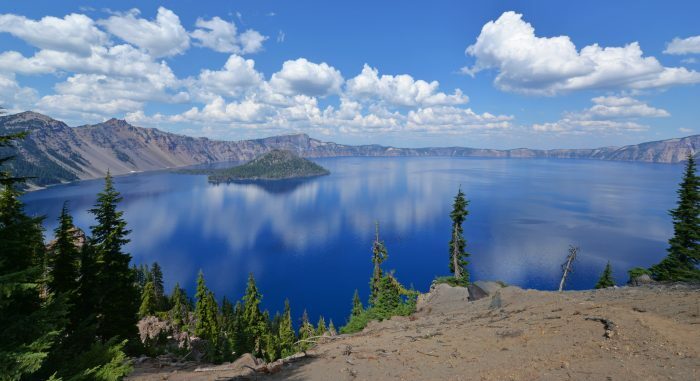 One great way to experience the wondrous Crater Lake is to camp there. 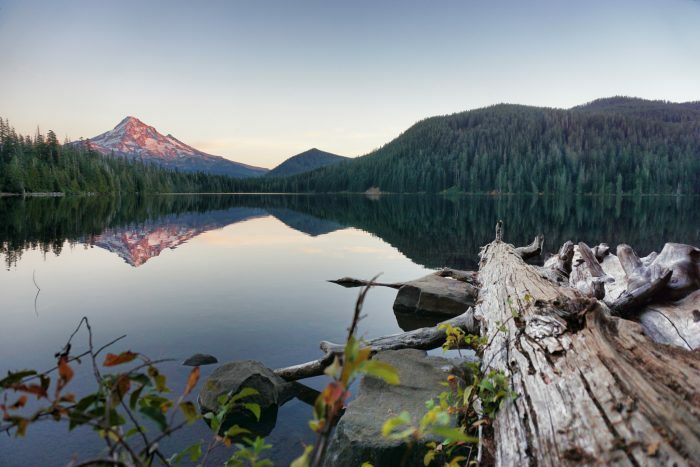 This incredible lake in southern Oregon is the deepest in the country, and it's breathtakingly beautiful. 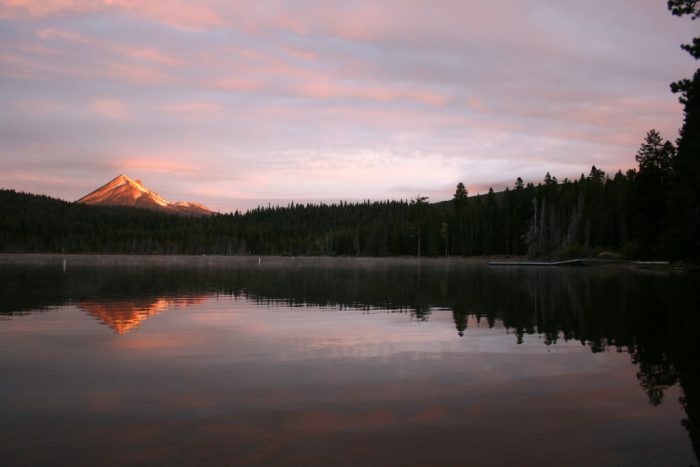 There are a few different places to camp in the area, including Mazama Campground and Lost Creek Campground. 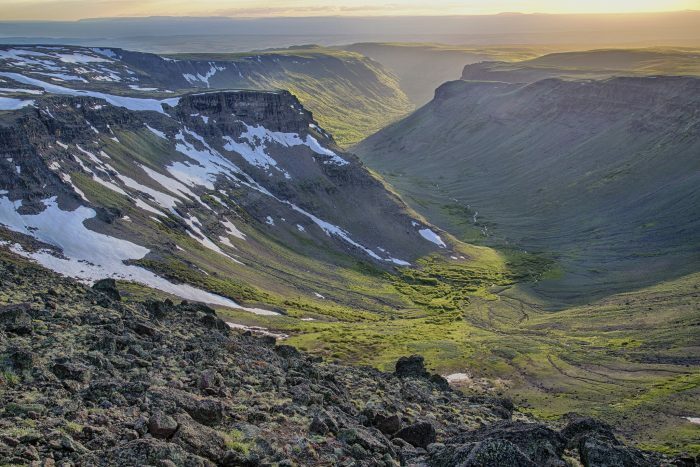 Experience the beauty of Oregon's wilderness at Steens Mountain. 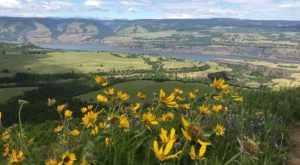 There are a few different campgrounds to choose from, ranging from the remote, high elevation Jackman Park Campground to the relaxed South Steens Family and Equestrian Campground at the base of the mountain. 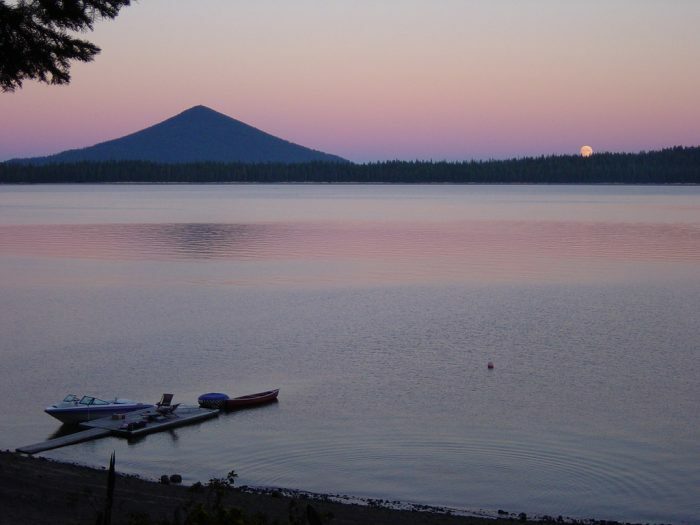 Located near Klamath Falls, this slice of paradise is a wonderful place to camp. Aspen Point Campground is beside the lake, ringed by dramatic evergreens. If you don't feel like pitching a tent, you can also stay at the Lake of the Woods Resort. 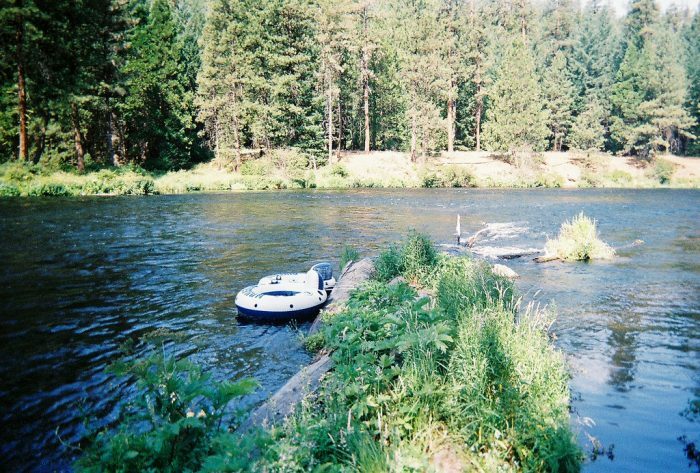 This awesome campground is located 5 miles from Camp Sherman on the Metolius river. 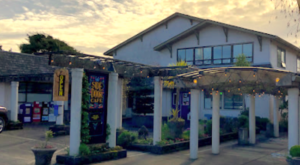 It's open year-round and provides grills, picnic tables, and wheelchair-accessible bathrooms. 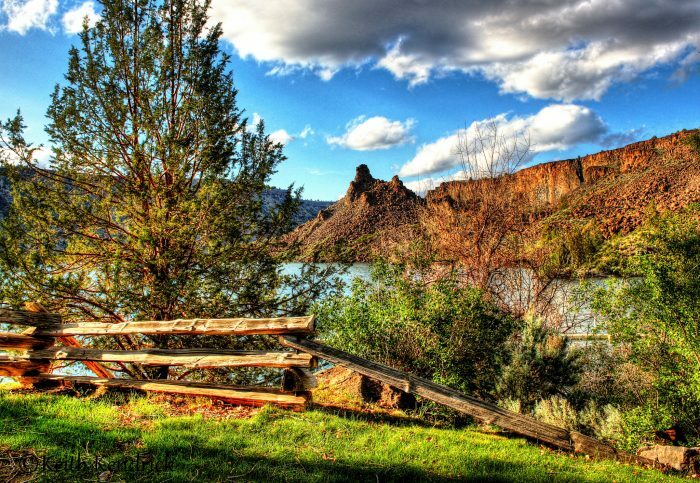 At this beautiful state park you'll find campgrounds as well as log cabins that are available for rent. Cove Palisades is a great place to explore; the rugged landscape, wide open sky, and shimmering Lake Billy Chinook will mesmerize you. 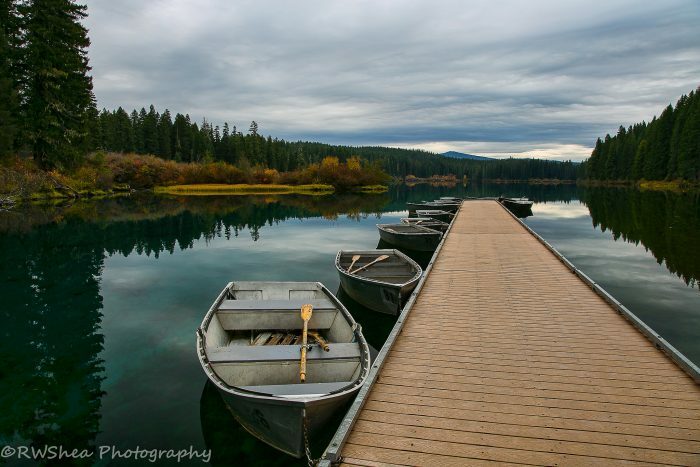 This beautiful reservoir lake in the Deschutes National Forest is a stunning place to escape on a camping trip. The Crescent Lake Campground overlooks the lake and offers awesome yurts. 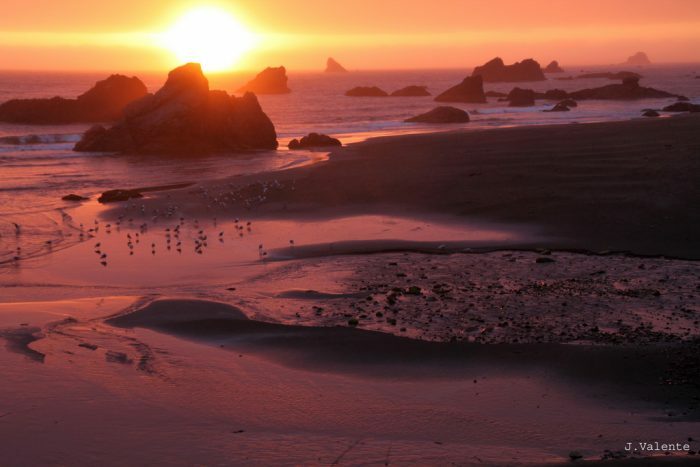 Everyone should visit the amazing Harris Beach, located near Brookings. This sandy, serene beach is dotted with incredible seastacks. 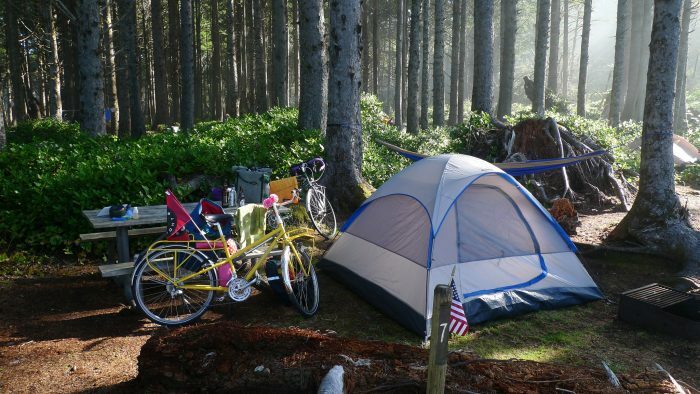 There's an awesome campground located in the forest right beside the lovely beach. 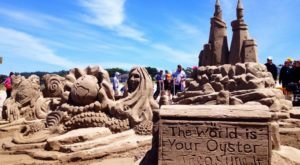 If you've never seen a sun rise at a beach, this is the perfect place to get a glimpse of the magic. Have you been camping in Oregon? What is your favorite place to go on a camping adventure?